A traditional bird feeding table is a practical and picturesque way to feed the feathered friends who like to visit your garden for lunch. Bird tables are popular because they look lovely in the garden and because they're very easy to use - there are no lids to open or tubes to refill, just a simple table on which to place your delectable bird treats! 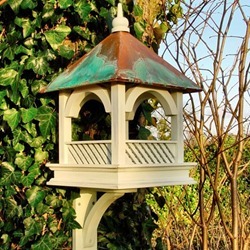 Our garden bird tables are among the most popular products in our feeder range. 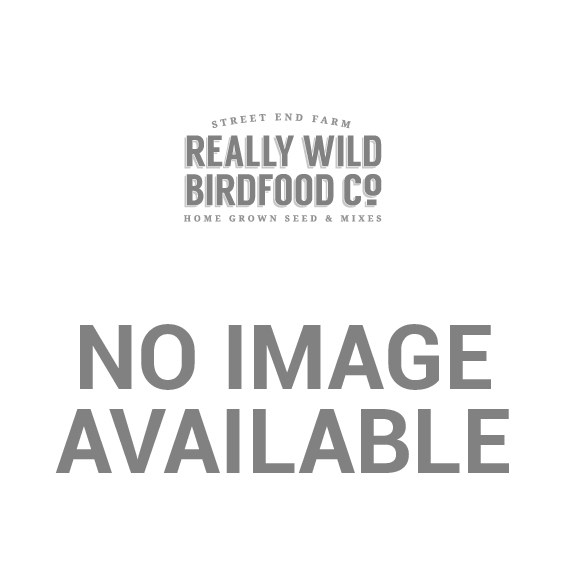 However, if you are looking for a different feeding solution, we strongly recommend that you visit our main Bird Feeders page and see what else we have to offer. Don't forget to stock up on food for your birds! 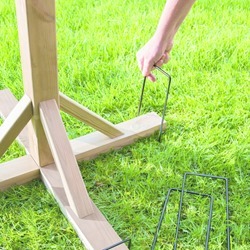 Bird Table Anchoring Pegs Secure your bird table against poor conditions and unstable ground, with these handy anchoring pegs. 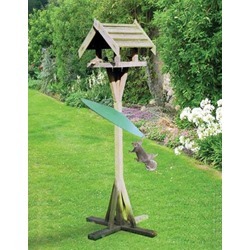 Bird Table Squirrel Baffle A 51.5cm diameter baffle with tilting action to prevent squirrels from mounting the table. 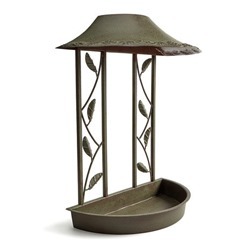 Large Bempton Bird Table - SAVE £4 Made from sustainably sourced timber and features intricate lattice woodwork in a distressed green finish, and a real verdigris copper roof. Self Assembly Pine Bird Table A beautiful self-assembly, pine bird table.